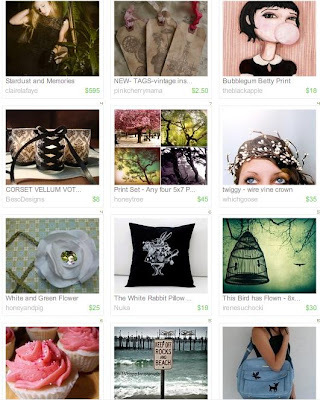 I just had to gush about the Etsy Treasury I created the other day. I'm madly in love with it and hope you enjoy it, too! It's titled "Things That Make Me Swoon!" Jen, this is a great treasury! Great escape..love the cupcke! There is nothing like a sweet, delicious frosting! Thank you for stopping by and guiding me here! Great inspiration, i look forward to exploring the rest!